Does Taxing Social Media Act as a Way to Restrict Free Speech? As a society, we spend a lot more time on social media than we think, often switching between platforms in a matter of seconds. But what if we had to pay to use social media every day… would we still use it as often? Social media is a big part of most our everyday lives, with a whopping 3.196 billion people around the world using social media. For both businesses and general users social media is one of the biggest platforms to share opinions and thoughts with others. Whether you are looking for a hearty discussion about your favourite superhero movie, or something serious, social media is usually the first place to go. However, if you had to pay a daily tax to update your Facebook status or share artsy shots of your dinner on Instagram, maybe you’d stop using it as often. After all, we expect sharing our daily highlights on social media to be free, so surely putting a price on daily usage would reduce how much time we spent on our social media image? For the social media users of Uganda, this is no longer just a hypothetical idea. 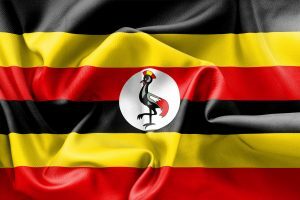 Uganda’s parliament recently passed a controversial law designed to tax those who use social media platforms such as Twitter, Facebook and Whatsapp, which will come into effect on the 1st of July. Though a daily charge of 200 Ugandan shillings (which is £0.04 in the UK) may not seem like much on the surface, the daily tax may add up to £14.60 annually, which is 3% of the average Ugandan civilian’s income. This money, which could be spent on food, water or other essentials, is forcing those who use social media frequently to rethink their consumption of social media. Ultimately this raises the question, is it fair to be implementing this tax and at what point does this become a limitation of freedom of speech and expression? Whilst we don’t pertain to be experts of the Ugandan economy, the concept of paying for social media platforms is something that creates division and could potentially lead the way for other countries to implement similar changes. A solution or a part of a bigger problem? While asking citizens of Uganda to pay this tax to fund their country’s debt may not seem unreasonable, the thought that some may be unable to use their own social media accounts if they cannot afford this tax seems absurd. Furthermore, president Museveni pushed for this law at the beginning of March, insisting that the revenue collected by this tax would help the country cope with the consequences of ‘gossiping’. The more that is said about this law, the more it seems that it is intended to stem the expression of original thoughts and opinions rather than its supposed function of cutting down the country’s debt. A BBC correspondent has said that social media has become an important political tool in Uganda for both the ruling party and the opposition. However, access to social platforms was shut during 2016 presidential elections in 2016, only pointing towards the idea that this law is indeed intended to silence rather than merely providing financial support for the country. Despite the vocal groups of internet trolls and Donald Trump’s, we believe that all should have a freedom of speech and expression. Surely implementing laws such as this one takes away the ability to have an opinion and share it with others under the pretext of funding a country’s debt? What do you think? 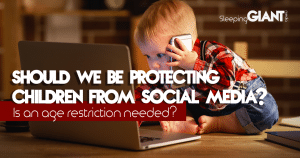 To learn more about restricting access to social media and how it isn’t necessarily a bad idea for some specific audiences, have a look at our blog on Should We Be Protecting Children from Social Media? 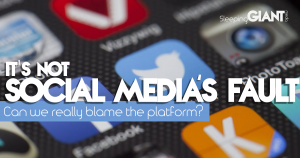 Alternatively, see our blog on Why Everything Isn’t Social Media’s Fault to find out more about whether we should be blaming the platform.